Creating a fully-lined and professional looking in-the-hoop gift bag has never been so easy! You’ll be amazed at how these bags come together in just one hooping! These embellished gift bags incorporate appliqué designs, as well a fun technique for using embroidery foam for small portions of select designs! 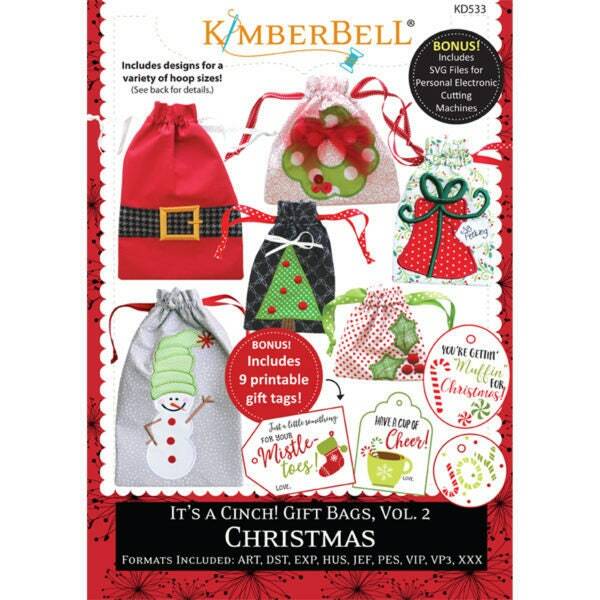 6 different size bags are included, and each design comes in 2 sizes. 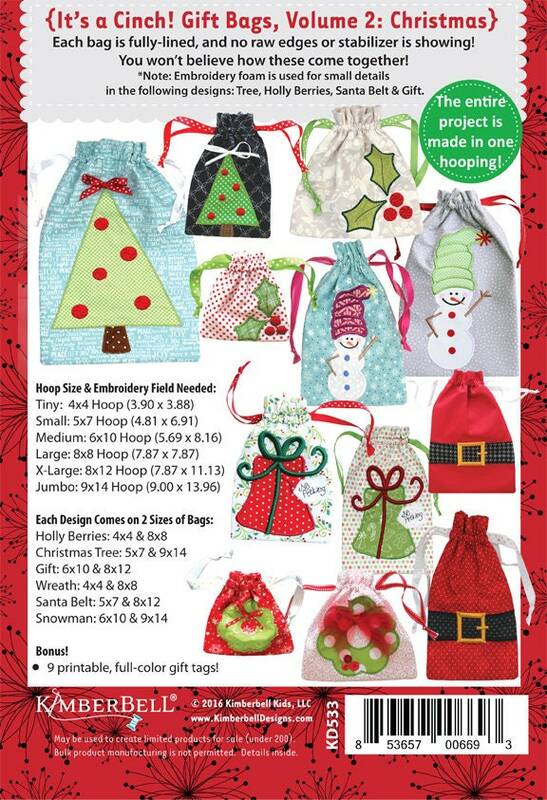 With all of these designs and bag sizes, you’ll be able to make 12 different bags! As a bonus, you’ll also receive a page of 9 printable gift tags in full color so you can easily attach them to the finished bag — now they’re ready for gift giving! SVG files for electronic cutting machines are also included.